Hello friends as you know whatapp is the most popular and number one messenger application in the world, absence of video calling funtion is the main drawback of this application, A good news is that from last couple of days whatapp enabled video calling options to some countries including India, you can enable video calling function in your whatapp by just installing latest Beta version of Whatsapp,, but this beta version of Whatsapp is not available in play store and the latest version of whatsapp in play store don’t have the funtionality to do video call. You can download this beta version from the below link of this post, we have provided two download link with this post, after downloading this application you don’t have to remove your old version , you can easily update it with latest beta version. Now open your Whatsapp and select a contact from your contact list and try to make a call by clicking call button, you can see a new option for make video call also from there you can decide whether you want to make video call or normal voice call. If you select video call option then you can make video chat with other user who is also installed the latest beta version of this Whatsapp. 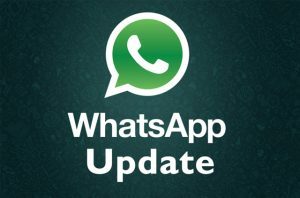 For that please share these links with your friends so that they can also update their Whatsapp. We have notices that the app given in the first link is not working in some mobiles including Samsung S5. To over come this we have provided another beta version link as Option 2. If you see ” Installation Blocked ” error message during installation process then you have to enable Unkown sources from your mobiles security settings, after enabling this you will not see this error message again. you can trust this app because it is created by original Whatsapp App Developers, so you don’t have to worry about data theft. Currently This feature is not available for Iphone users, you have to wait next couple of weeks for the official update in the play store or app store.